50% OFF! Get a 4 pieces Pack of Sony AAA 1.5V Ultra Dry Batteries worth Rs.240 for just Rs.120! For the countless electronic gadgets that you can't live without, get the latest sony carbon zinc batteries that's proven to be the world's longest lasting AA batteries for low drain devices. 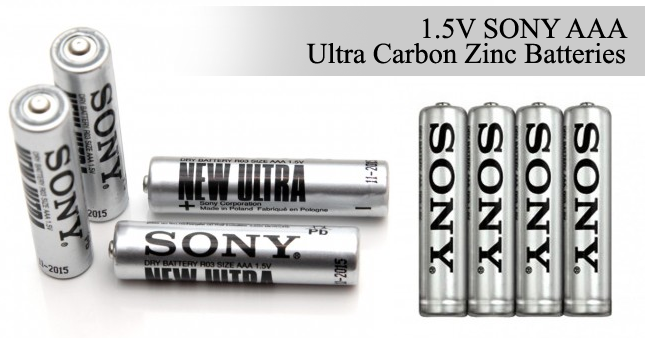 Voucher is valid only for oneOne Pack of Sony AA 1.5V Ultra Dry Batteries.